You’re 12, or maybe 13. One of the neighbors, who knows you’re interested in science fiction and adventure stories, lends you her new copy of Nausicaä of the Valley of the Wind. You’ve seen bits and pieces of anime: Pokémon, Naruto, one of the Gundam TV series. 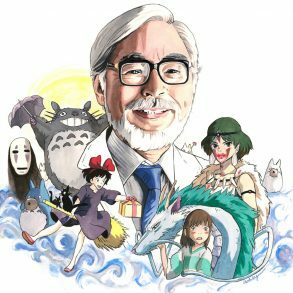 You’re aware of Spirited Away, but have never watched Miyazaki before. Slide the DVD into the player in your small TV room and press play. Chase your mom out when she sticks her head in the room halfway through (she thought it would be over by now). You thought the movie would be shorter, too, and you’re not sure how you feel about it yet, but you think you like it and you want no interruptions. Be unnerved by the giant bugs and the talk of eyes red with rage. Mistrust the overt environmentalist themes. Sit and watch the credits roll to the very end, for perhaps the first time in your life. Return the DVD with a simple, “I liked it,” to your neighbor. Don’t elaborate. Carry the movie in the back of your head for the next decade. Don’t actively remember it often, but every once in awhile, stop and think about the blue-clad protagonist with the red hair and the funny name. Dream of flying on her glider. Revisit it again in college. Recognize the voice actors in the dub—the ones you thought sounded familiar before, but couldn’t place. You know them now as Captain Picard and Admiral Adama and The Bride, but you still think of them as cartoons sometimes. Realize the story stuck with you more closely than you thought. Start falling in love with the story, this time in earnest. Start with the scene in the beginning where Lord Yupa gives Nausicaä the fox-squirrel. Nausicaä coaxes the animal out of its hiding place, gently, telling it that there’s nothing to fear. Lord Yupa cautions her that even the babies of fox squirrels are vicious, and as he does, the fox squirrel bites down on Nausicaä’s outstretched finger. There’s blood, and Nausicaä takes a quick breath—the bite hurt. But instead of retaliating, she holds still, then repeats herself to the fox-squirrel in the same soft voice. “See? Nothing to fear.” In return the animal releases its grip, then begins licking the wound it just made. 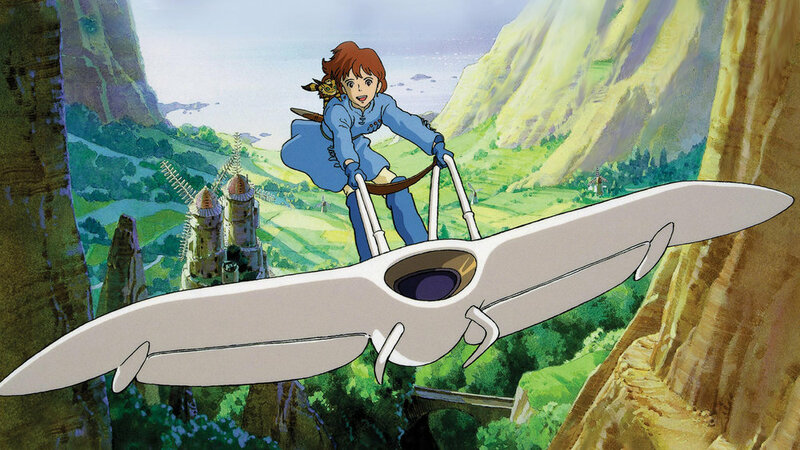 Nausicaä laughs and swings the animal around on her shoulders, a swift motion mimicking flight. 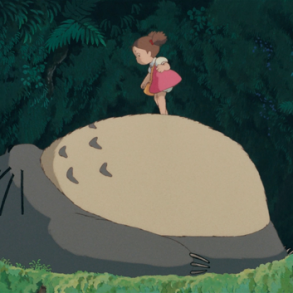 Every Miyazaki movie features three themes: feminism, environmentalism, and pacifism. 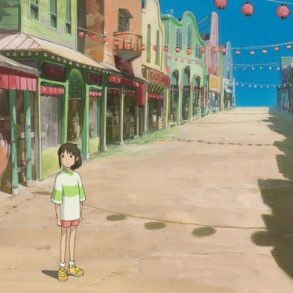 Each movie emphasizes these themes in different combinations and to different degrees: Kiki’s Delivery Service is a coming of age story about a young girl; The Wind Rises longs for peace; Princess Mononoke preaches harmony with nature. Nausicaä is remarkable because it is only Miyazaki’s second film, but all three of Miyazaki’s trademark themes are present in full force. Nausicaä is not, perhaps, Miyazaki’s best movie, but it is his most earnest and original; a declaration of ideals that his later movies will refine. Nausicaä is based on the first two volumes of Miyazaki’s manga of the same name; the manga is more expansive, but the film condenses the manga’s overarching themes into a cohesive two-hour story. While Studio Ghibli did not exist before its creation, the company dates itself back to Nausicaä; the film’s success allowed Miyazaki to create the production company, and Nausicaä is included in the Ghibli canon. Many Ghibli films are considered children’s movies (Kiki’s Delivery Service, My Neighbor Totoro, Ponyo), but Nausicaä is dark, violent, and serious: not a film most small children can sit through. Miyazaki does not talk down to his audience, even in his lighter fare, but Nausicaä especially feels like a movie that is explicitly Not For Kids. For this very reason, I think Nausicaä is an ideal movie to grow up alongside. Situations that seem complicated and intractable to adults can appear simple and straightforward to children. Nausicaä holds this adult circumspection and childlike faith in perfect balance—an act that seems obvious to a twelve year old, but profound to someone older and more experienced. The film is a good reminder that sometimes simple action in the face of fear makes a lot more sense than paralyzing worry about how it will all work out. When you’re little, you’ll find yourself at the top of a McDonald’s jungle gym—the big kind, with tunnels and ball pits and multiple levels. You’ll think you’re trapped, because you can’t crawl backwards, and the only way forward is across a section with a thick net that sways when you put your weight on it. Your mom will stand below you, unable to come up and get you, and call up, “Fight the fear, Sarah! Fight the fear!” until you choke through your tears and your screaming lizard brain and edge your way forward and down. 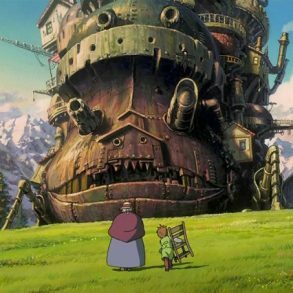 Miyazaki’s feminism is an understated part of most of his movies; he simply writes interesting female characters of all types and backgrounds. Sometimes the women are explicitly called strange for being outspoken, like in Lady Eboshi’s Irontown in Princess Mononoke. Most of the time, though, the women in Miyazaki films are permitted to be women, with no comment and no explicit preaching about their place in the world. Nausicaä is one of Miyazaki’s more passively feminist works: Nausicaä is considered a strange girl because of her compassion and her gift with wild animals, not because she is an outspoken woman in a leadership role. Her gender simply isn’t commented on. Princess Kushana, the closest thing the film has to a villain, is likewise strong and decisive, but the film doesn’t judge her for being an outspoken woman either. Neither does the film judge the secondary female characters for being strong women or blind women or fearful women or women who die. They’re people, who just happen to be women, and the film feels revolutionary specifically because it does not call this fact out. Nausicaä deals more explicitly with Miyazaki’s other key themes, environmentalism and pacifism. They are completely intertwined in this story; violence created the toxic world, and it can only heal by living in peace with the natural world. The jungle, which poisons the air and threatens humanity’s survival, is also paradoxically a healing agent: nature, unchecked and uninhibited, is presented as the solution to humanity’s failings. The toxic jungle is both a result of the (implied) nuclear apocalypse, and a filtering mechanism that slowly purifies the polluted soil through its roots. Nausicaä uses this discovery to fuel her drive for peace—not just between the warring tribes of humanity, but between people and the earth they poisoned long ago. Nausicaä is a woman, something she wasn’t able to choose. But she is also an ecologist and a peaceful warrior, roles she actively throws herself into because she knows no one else will act the part. You hate flying, even though you’ve been boarding airplanes since long before you can remember. Once, when you’re fifteen and on a long flight home across the Pacific, you’ll be seated away from your traveling companions and near no one else who speaks your language. It’s a red-eye flight, and you can’t sleep on planes. The turbulence picks up until the flight attendants lose their polite smiles. The exit lights blink on, then off again, three separate times. You grip the armrests beside you and wish you hadn’t watched so much Lost the month before. The next time you fly and it’s turbulent, you hold your mother’s hand, even though you’re in high school. You know getting on the plane the next time will be easier. Nausicaä embodies compassion and courage; she’s a capable young woman who has been trained as a fighter and who has realized that peace is worth fighting for—though not at the cost of human (or insect) lives. She doesn’t come by this insight by magic or naïveté. She learns it through hard experience. When the Tolmekian soldiers kill her father, Nausicaä is consumed with rage—some would say rightly—and she brutally and efficiently attacks the soldiers who murdered her only family. Her mentor Lord Yupa has to physically block her sword with his arm, injuring himself in the process, and it is only when she sees that she’s wounded him that she’s able to come back to her senses and realize what she’s done. She becomes afraid of herself and her rage; she loathes the violence she’s capable of, even against her enemies. Nausicaä has been put into a difficult position at this point in the film. Her father’s been killed and her valley invaded by soldiers who carelessly spread spores from the toxic jungle among the healthy plants, dooming her Valley to eventual death from the poison. She has every right to lash out. But if she does, the Tolmekians will likely kill everyone in the Valley; they’ve taken everyone captive as is. Nausicaä is forced to cooperate, at least for a time, in order to keep hope for her people alive. It’s in these moments that Nausicaä’s true character shines through. Her leadership abilities are best put to use when others are panicking. Instead of sitting beside the action in worry and fear, she acts decisively for the good of her people and for the good of the larger world, and she’s emphatic when she declares, first through her tears and later in a loud voice, that the killing has to stop. She’s compassionate and capable, at one point putting her own body on the line to calm her own people by removing her breathing mask in the middle of the jungle in order to get their attention; stunned, they listen to her as she cheerfully gives them survival instructions. It’s only after they get back to work that she replaces her mask and complains to herself that she inhaled some of the poison. There’s a note of disgust in her voice, but any fear she might be feeling for herself is drowned out by her concern for her friends and for the fox squirrel hidden away inside her shirt. She isn’t worried for her own safety; she’s far too caught up in the action to allow fear to paralyze her. It’s the end of a long summer internship. You and the other interns decide that you want to do something new with the extra money you raised for your room and board, so you all decide to go skydiving. You like the idea of being adventurous, but you still hate flying. Earlier this year, though, you’d decided that this was going to be the year of doing things that you were afraid of. When it comes to acts of courage, skydiving is not braving a toxic jungle or pleading for peace between two warring tribes. 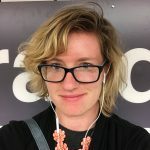 It’s small, almost frivolous; you know you’re capable of getting on a plane, and you know you’re going to do it many times over in the future. Still, skydiving seems like a relatively safe way to actively face your fear. You agree, not unenthusiastically, to join your fellow interns. You almost back out at the last minute; you’ve been thinking too much about all the ways this could go wrong. There are only four of you, though, so you’re all loaded into the same plane at the same time, and the certified instructor you’re strapped to is the closest to the door, so when the plane reaches altitude you’re the first out, too fast for you to register that you’ve just dangled your legs out of a plane at 14,000 feet. The wind whistles as you spread your arms and you raise your head to get a good look at the hazy horizon. Your lizard brain is screaming at you again, the same thing it always screams when you’re afraid, but this time you’re enjoying yourself far too much to care. You laugh as you fall. You laugh when the chute is pulled, and you whoop and holler when the instructor swings the pair of you around in loops across the sky. You’re flying; you’re falling, and you’re free, and for once, there’s nothing to fear.